FitThumb is proud to announce the release of the FitThumb sync app for Apple devices! 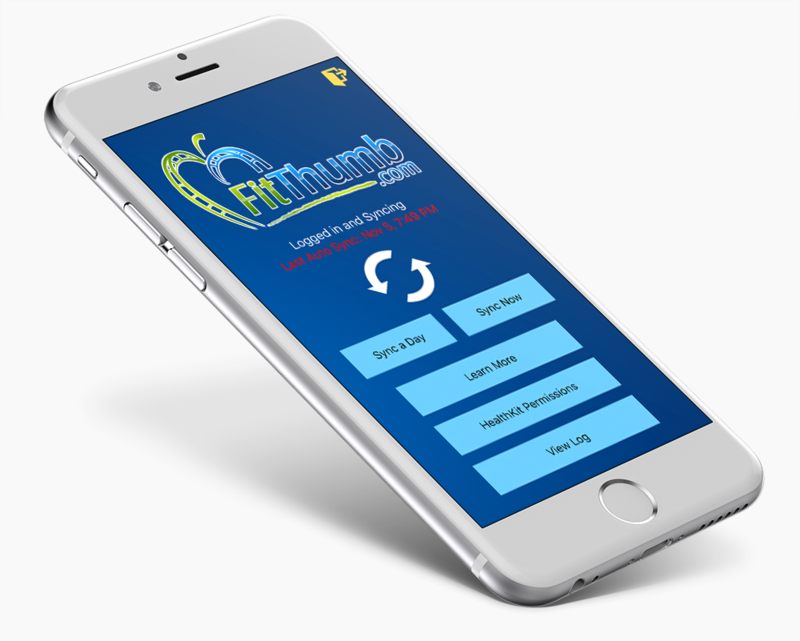 Simply download the app, log into your FitThumb account, give permissions to HealthKit and your Healthkit data will begin uploading to your FitThumb site! Syncing is as easy as running the app. It'll catch up your data since the last time it ran. It syncs your apple watch or iPhone steps, any workouts you created as well as your activity ring minutes. As an added extra, any app that syncs its data into HealthKit can then sync to FitThumb through the app! Getting data from apps such as MyFitnessPal, Loseit and more is now as simple as using the sync tool.